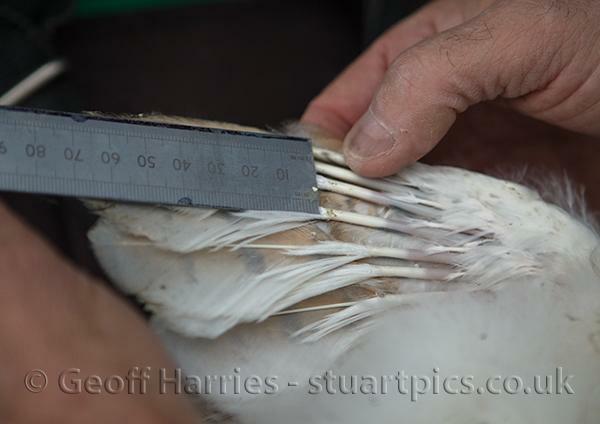 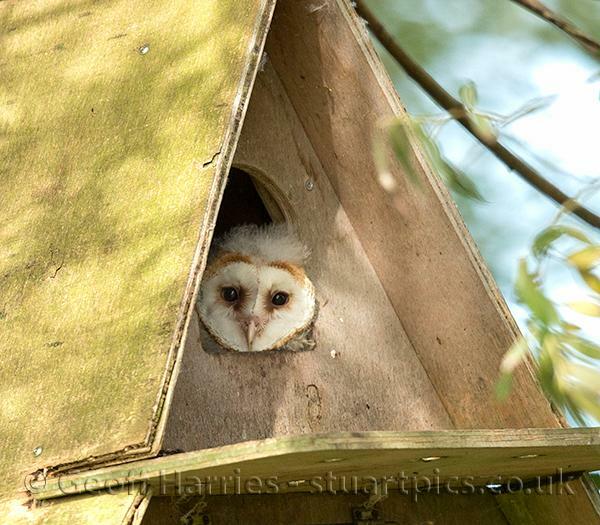 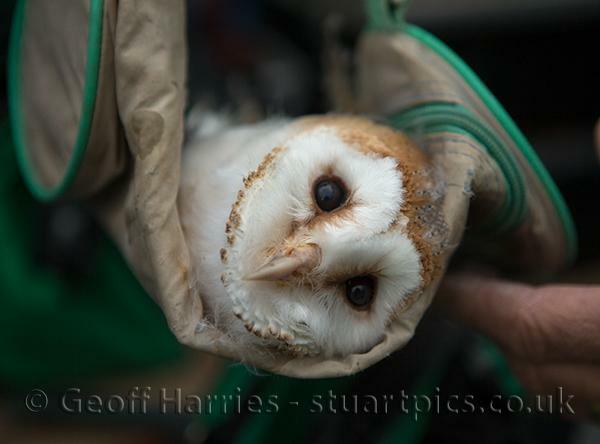 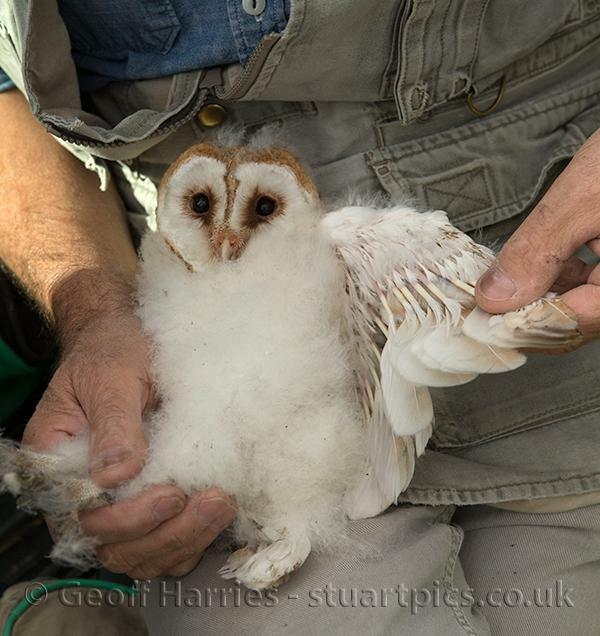 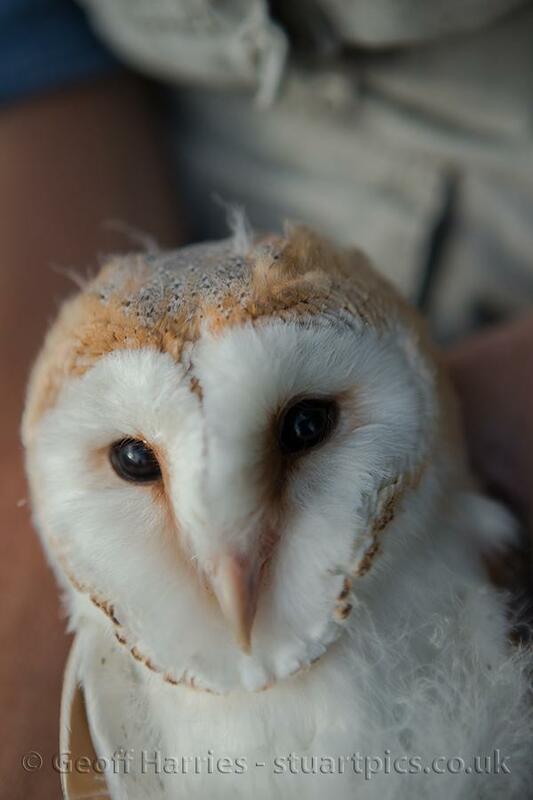 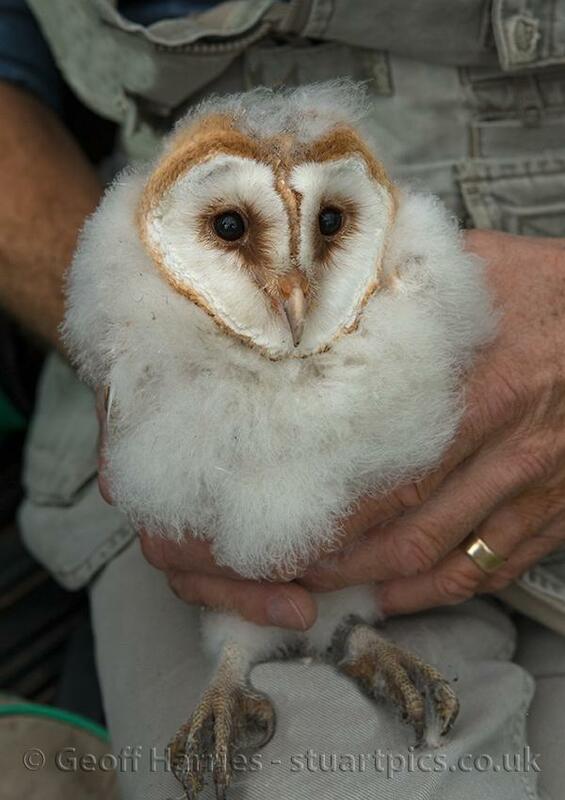 This post shows the process of collecting data when ringing a brood of barn owl chicks. 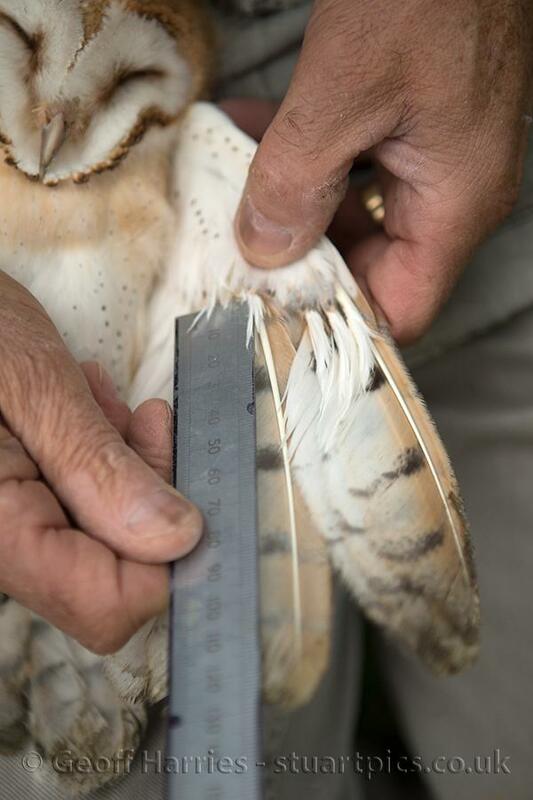 The age of the bird is determined by the length of the primary 7th wing feather measuring from the unfurled section to the tip, gives the age of the bird within one day. 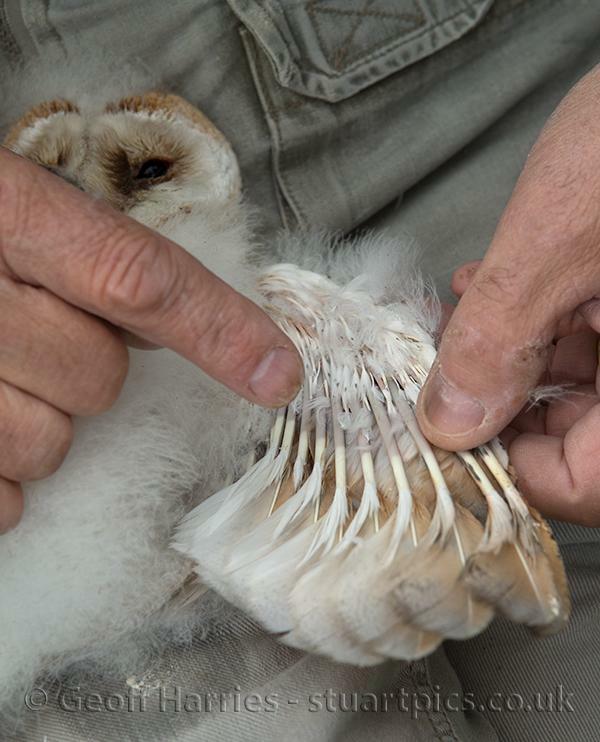 Black spots on the feather quills identifies a female bird. 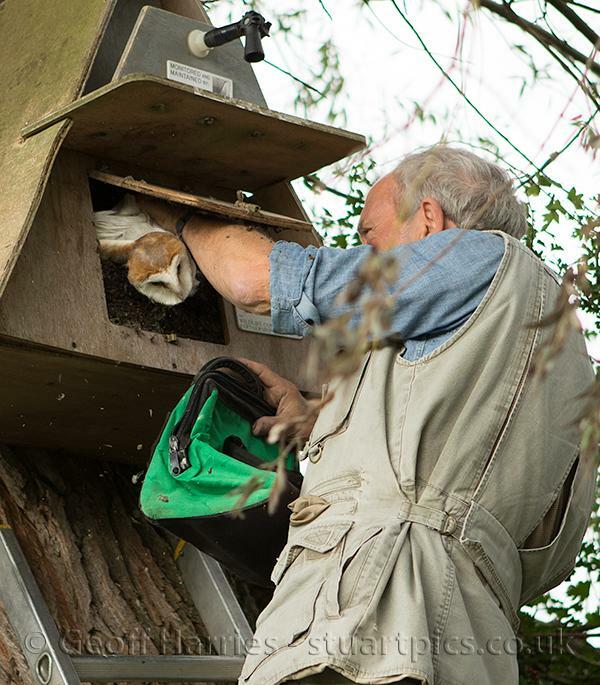 The weight of the bird shows how healthy it is and indicates whether it has left the nest. 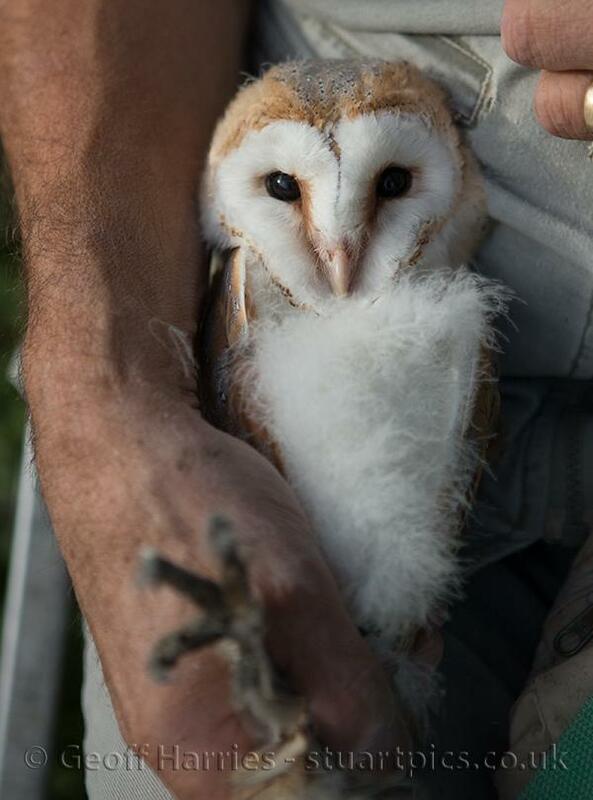 The healthy weight on the nest at 50 days old should be 350-450 grams, this drops to about 330-360grams when they have fledged. 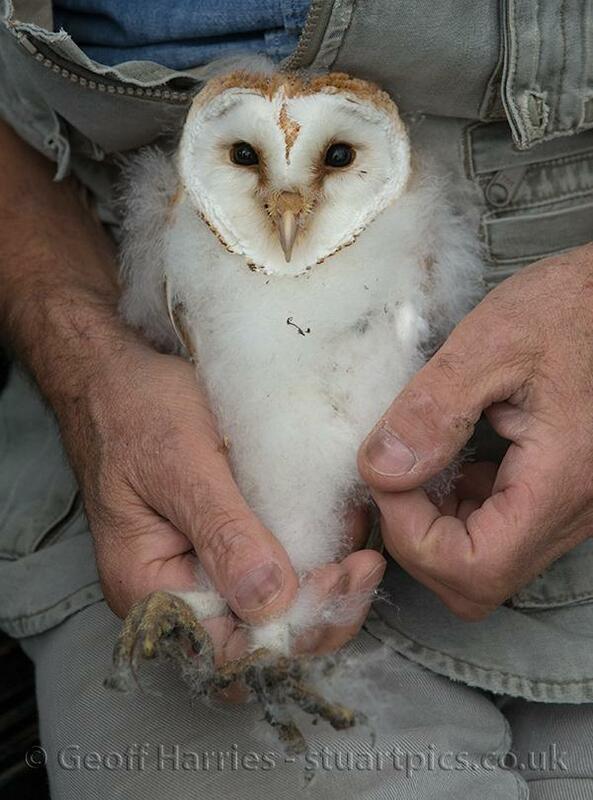 At 55-65 days old the birds will have started fledging and left the nest for short flights before returning to the nest. 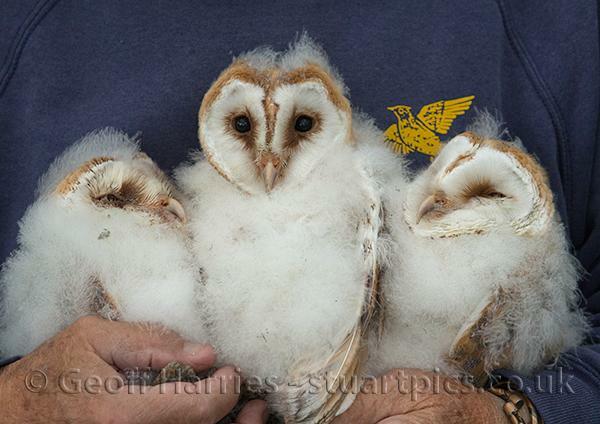 By 70-80 days the owlets will look like an adult and are able to catch their own food. 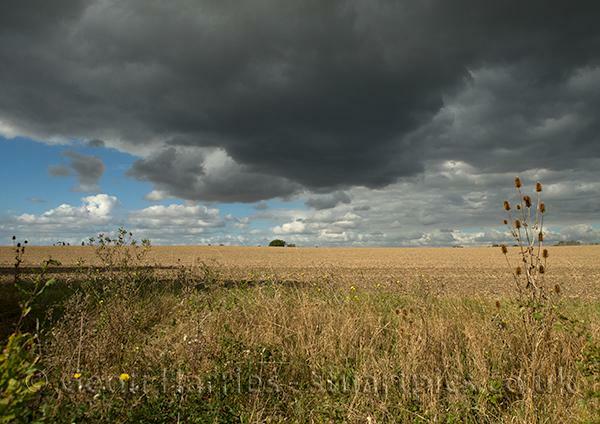 Last image is of weather across field during ringing, before it rained !